Ir’s not everyday that we get to combine a love of video games with our love of writing. So, when we do, we let everyone know about it. 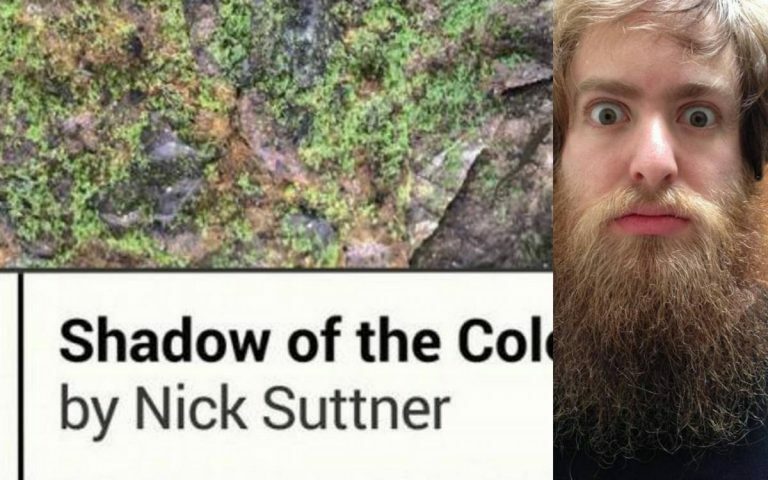 Recently, we had the chance to review Nick Sutner’s book on Shadow of the Colossus. There were a few questions pending afterwards. We wanted to know about the man who wrote a book about one of the greatest games of all time, and how he did it. Luckily Nick was kind enough to stop by and answer these questions for it. Once you’re done reading, if you want to follow Nick on Twitter, he makes good use of pixels. How conscious were you of the reader when writing Shadow of the Colossus? Hmm, great question! On the one hand, I suppose I was writing it primarily for myself, putting down everything I always meant to say about the game, as much for posterity as for anyone in particular. But on the other hand, I was writing it for the nebulous audience that would theoretically read it, and trying to make it as beautiful and thoughtful and interesting as I could – which I suppose was more for friends and family to begin with, since that’s who I could share it with along the way and have in mind as tangible readers. But once my editors started getting their eyes on it it became more real that relative and complete strangers would be reading it, which helped me to carve away anything that wasn’t essential or maybe too self-involved. Short answer: vaguely. The book started at the request of the kickstarter backers, correct? How did you land the job, and what was your journey since accepting? Yep, it won the fan vote as a bonus book for the second season of Book Fight Books during the Kickstarter. I was already a backer due to the Spelunky book (which is incredible by the way, I just finished an early draft), and I saw in an update that they were looking for a writer for SotC. It was the role I was born to play, baby, to quote Troy McClure. I put together my pitch packet (which included a sample intro, which is surprisingly close to the final intro that made it into the book), and after several e-mails and a long phone call with Gabe Durham (who runs the series) he narrowed it down to a couple candidates and eventually chose me! The journey since accepting…that’s a much longer answer. But it was a fantastic challenge, and really involved a lot of subtractive design of my own, especially towards the end. When did you first get into writing? I’ve always loved creative writing, it was a joy of mine in school. But I was creatively stifled for a long time after dropping out of film school, and only got back into it when I became a game reviewer/writer for EGM and 1UP.com back in 2007. I lapsed again since working at Sony, but this was a great opportunity for me to flex my creative muscles for the first time in a long time, with a goal and a deadline to keep me on track. I’ve realized that I’m maybe best as a critic or non-fiction writer, much as I’d like to fancy myself a fiction writer. One day maybe. Why did you decide to write about Shadow of the Colossus now and if you had a free pass, what would be your ideal video game book? My two ideal video game books are about SotC and Spelunky, so it’s been a good year. I also would have loved to write the Spelunky book, but obviously Derek (the creator) as the author is the best case scenario, I’m just a big fan. I’ve been playing a lot of the new Earth Defense Force game recently, and I’d love to put together an essay or something on it, since I’ve never really seen anyone dig into just what makes it so great. Is it in your opinion the first “playable” piece of art? I think Ico was maybe the closest to the first “mainstream” videogame that was recognized as being artful in certain ways, but interactive art has existed for decades. I think something that Team Ico’s games did do, though, as I write about in the book (specifically, an interview with John Davison), is expand the vocabulary of gamers to be able to point to Team Ico’s games and say “something like that,” with regards to what some people wanted out of games that they weren’t getting before that. However understated, it was a turning point. Good question, and one that I really need to figure out for myself as well. I love writing, but it’s a lot more doable for me with a subject and a deadline than staring at a blank page hoping that ideas will come. At the least, I’ve been posting some uncut/unused interviews I did for the book at shadowbookextras.tumblr.com, which I may add some original writing to as well. I definitely have the writing bug again (to say nothing of the weird post-partum depression of having the book done), so I need to figure out how best to indulge that. Oh man, so much! Currently listening to the new Deafheaven and Leftover Crack albums a lot, though I don’t usually skew quite so heavy. I’m in the middle of the second season of Transparent, which is incredible, and still finishing out Master of None, which is probably my favorite new show of 2015. I just finished Everybody’s Gone to the Rapture, which I thought was fascinating, and dipping my toe further into MGSV, which is intimidating and overwhelming but sort of incredible. Oh! And I just finished Earth Defense Force 4.1 last night (since I answered the above question). I also just finished reading the first trade of Descender from Image, which seems pretty great too. Other than taking down Colossi, what are your plans for 2016? Right now the only concrete plans are seeing The Revenant next weekend. I’ll figure out the rest after that. What games were fundamental in your childhood? I maybe had a weird childhood of gaming, in that my parents wouldn’t let me have a “TV system” until PS1, I only had a Game Boy and Game Gear before that. So a lot of gaming was done at friend’s houses (or in arcades), so my early experiences were all very social and collaborative. I also spend hours pouring over every issue of GamePro and EGM (which I would later write for! ), so the gaming world was ever-expanding for me even if I wasn’t playing most of it. One especially fond gaming memory I have is playing Dune II with my older cousin when I was 10, that’s the first time I remember really feeling empowered and transported into another world with emergent strategies, as much a thought exercise as anything. They actually did a beautiful tribute to the game and its creators at The Game Awards recently, I was glad to see it get the credit it deserved. Even if it’s just as simple as do you play a wide variety of genres or have personal favorites? f. I really dig games like N++ where there’s a strong feeling of improvisation as you play, a core set of skills to master that can then be applied by the player in interesting ways. I also really enjoy environmental storytelling and emergent narratives, so something like Spelunky is really up my alley, where every run through leaves you with a different story to tell. I feel like I’m just name-dropping my favorite games, but I think they serve as microcosms of a lot of elements that I tend to enjoy. If I wasn’t such a wimp, I’d also be an even bigger Bloodborne fan, as it shares a lot of those same tenets.